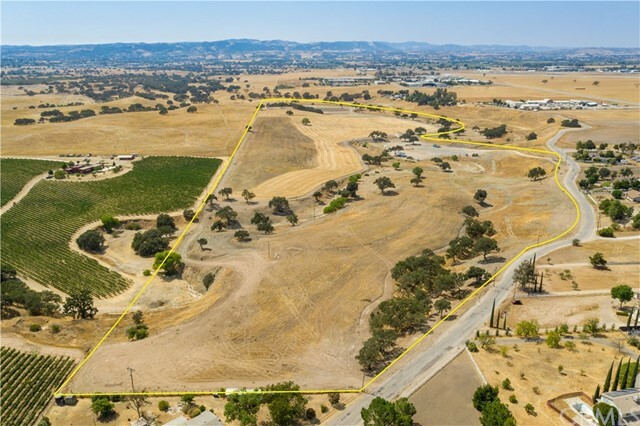 This conveniently located 82+/- acre parcel lies within city limits near the paso robles airport & has paved frontage along dry creek road. You'll have the feeling of being out in the country, yet you're just minutes to town. 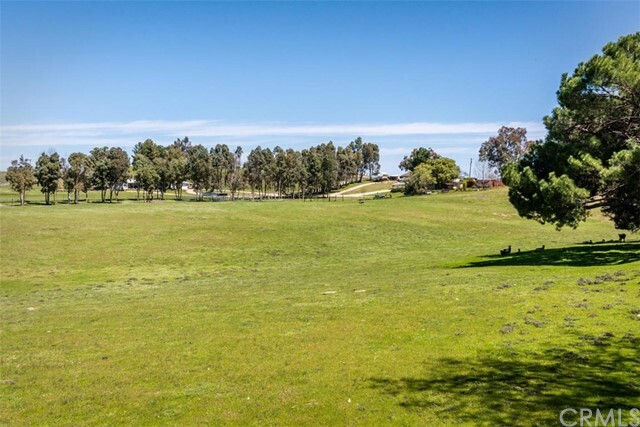 This parcel is near one of the finest golf courses on the central coast and is adjacent to the interactive garden park "sensario", currently under construction. Amenities include power (possible 3 phase), fencing, gated entrance, improved driveway, reservoir and an existing water well. In addition, there's a seasonal creek with an arizona crossing and gentle topography for farming. City may be open to possible commercial uses. Have your agent contact listing agent for further details. Make this rare investment opportunity work for you! The largest model in the premiere adult community of traditions at river oaks. 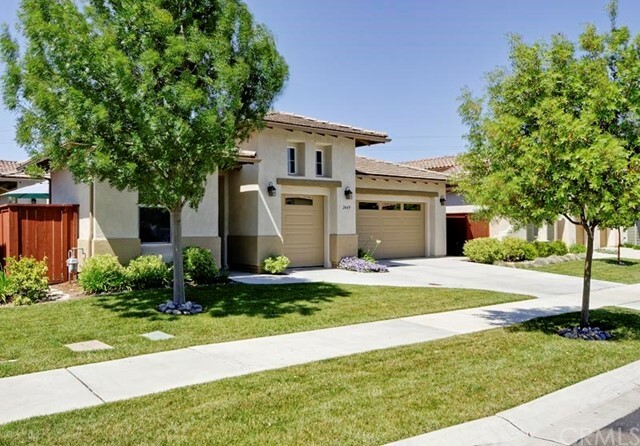 The beautiful single story home boasts 2 large bedrooms plus an office or den, which could be a third bedroom, plus a detached casita for a private office, art studio or??? Two luxurious full bathrooms with the master includes a large soaking tub, over sized shower, vanity and separate sinks and storage plus large walk-in closet. Large gourmet kitchen has granite counters, tons of storage, large island and nook. Throughout the home there are built in cabinets that provide more storage than you can imagine! There is an inviting courtyard at the entry to relax and enjoy the lovely central coast weather and the rear yard boasts two fountains and private patio for dining alfresco and entertaining. Other amenities include custom window treatments, large laundry room with sink and loads of storage and a golf cart garage. The gated community includes pool, spa, club house, library, gym and gathering areas. Located just two miles from downtown paso robles, come enjoy the relaxed lifestyle of the central coast with its spectacular wineries, rolling hills and one of a kind coastline! 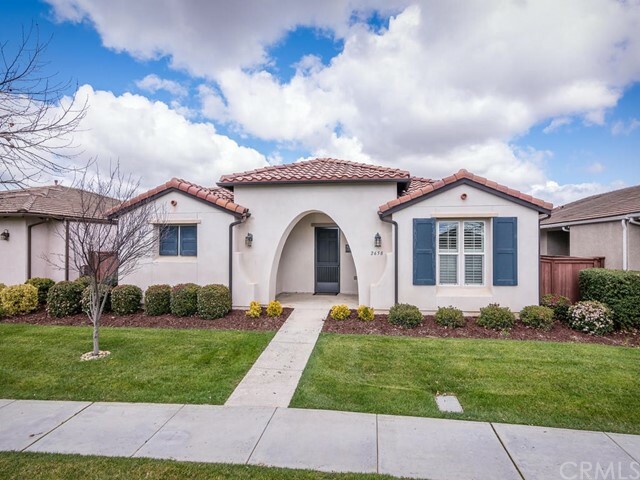 Delightful single story premier home in the coveted meadowlark estates has been impeccable maintained, is well appointed& set back from the street! This wonderful 2203 sqft 3br 2. 5 bath home was tastefully updated when built. The home boasts an amazing floor plan w large windows& vaulted ceiling’s providing an abundance of natural light, a open feeling& the family room has a gas fireplace insert. The kitchen adjoins the dining/ living room& family room which is great for entertaining. Kitchen features white tiled counters, a plenitude of cabinetry,walk in pantry, breakfast bar& a breakfast nook. Solar tubes lights installed in both bath& the laundry, dual sinks in the guest bath. The lg master features separate bathtub/shower, dual sink vanity, lg walk in closet& sliding door leads to your private aluminum covered patio w sky lights& your magnificent backyard! The spacious backyard is enshrouded by a beautifully terraced upslope lot,w mature landscaping& is fully fenced for your privacy, bbq’s, summer fun & relaxation. The backyard has well established fruit & other trees, raised vegetable& berry gardens& accented w gorgeous adelaida flagstone. The home has a tiled roof w stucco exterior & the 3 car garage provides flexibility for storage& room for a hobby/workshop. This beautiful home is very comfortable& in move in ready condition. 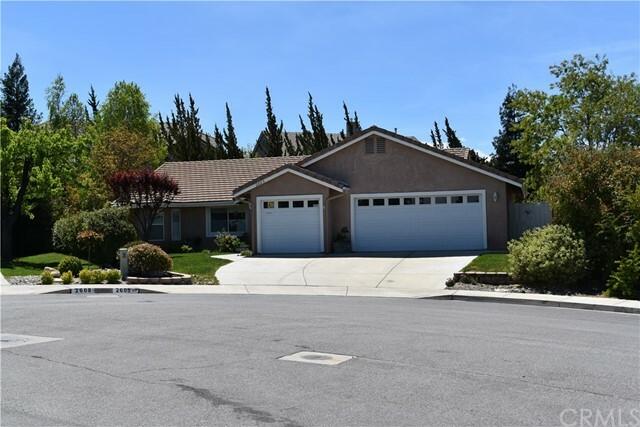 Located at the end of a cul de sac street in a great neighborhood, just a few blocks from peterson elementary school& close to the golf course. Traditions at river oaks is the premier active senior living community in paso robles! As you drive through the front gate you'll immediately notice the well maintained grounds that have a true country club feel. Pulling up to the house you'll find a clean, manicured front yard with close proximity and easy access to the river oaks golf course, river oaks spa & hot springs as well as walking trails throughout the entire river oaks community. Walk through the front door and you'll be greeted by a beautifully flowing open floor plan including hardwood floors, cozy fireplace and built in shelves in the living room, stunning granite counter tops and ample storage in the spacious kitchen and a cozy dining nook with plenty of natural light. Down the hall you'll come to an indoor laundry room, 2 guest bedrooms, full guest bathroom and then onto a large master suite with an easy access shower, dual vanities and walk in closet. Out the back door is a patio setup perfectly for early morning coffee and summer bbq's. 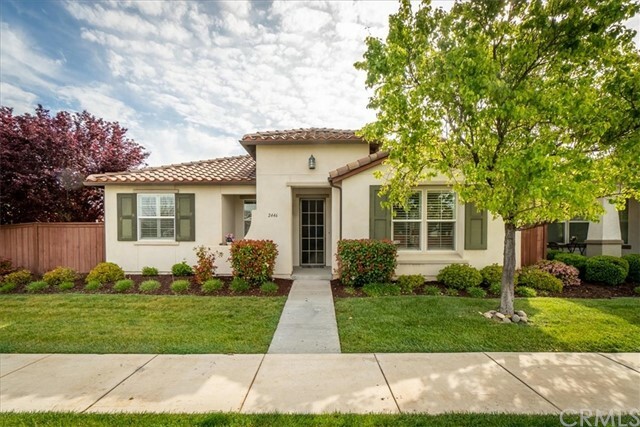 Everything about this home says move in ready.